Elyon Media is a full service, creative production studio. Serving clients nationally and internationally, both corporate and non-profit. 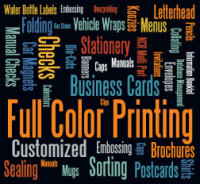 Inspired by a diverse range of services: Film, Music Print and Design. We specialize in communicating your brand successfully. It's here again!!! A Life Transforming Curriculum that will inspire the creative in your youth!!! DO SOMETHING NEW THIS SUMMER! Set yourself above with a cinematic and 3D viewing of your properties. the quality of your work and assurance you can help them into their new home, about you, your services and your why) and 1000 FREE Branded Business Cards (A gift from us). We are offering 3D, drone, video and photography package for realtors. The work is absolutely cinematic! 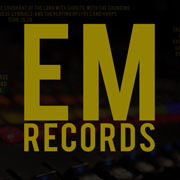 EM Records seeks to discover, develop and distribute musicians and artists by working collectively to fulfill theirGod-given destiny in music. A unique style of worship and encouraging creativity through diverse cultural music. Abandoned Heart, first of nine collections, currently being recorded. A story of tragedy turned triumph. Of One Man, Kenneth Harvey, who has had a 5 decade influence in Desoto Parish in Louisiana. One brother, Ben Freeman, who listened to an unction to appreciate his friend's life. And One Community that rallied to the call to honor their local hero. Branding is more than just your logo. Creating a strong brand is a journey. Our team will join you on the process of creating a brand that clients recognize and developing a brand that influences prospects, rallies employees and customers engage with. And make Great Things Happen!